Tomorrow we celebrate the release of Covenant (Immortal Soulless Book Four)*. It’s been a wild ride so far, and I’ve met lots of characters I’ve fallen completely in love with, many of them unexpected guests at this particular party. But there’s one who has a very special place in my heart. The series takes place in Newfoundland, though it’s a darker and more dangerous version of the island than what you see in the tourism videos. I use a mixture of real and invented locations, but every character save for one is entirely made-up. And that one character is fictional… but also not. Is that confusing? Let me start over with the story of how a blotchy-faced kitten from the SPCA ended up on the pages of a book (and with his claws sunk firmly into the author’s heart). It all started with a Facebook post. Two kittens alone in the wild, brought in to a shelter. Brothers. Adorable, as kittens tend to be. I saw the post and immediately wanted to adopt the one they were calling “Jiggy”, though it seemed obvious to me that that wasn’t his name. I sent the post to my husband, half-jokingly saying that we could name the black-and-white kitten Rorschach. Was it unfair to play to his comic book-loving heart with a reference to Watchmen? Maybe. But in my defence I knew we weren’t going to adopt him. We already had two cats and two dogs, and a half-wild kitten seemed like a huge challenge we didn’t need. It was just a cute joke. But I couldn’t forget that odd little face. At the time I was in the process of revising Resurrection, book one of the Immortal Soulless series. And suddenly there he was. This kitten I’d seen in that Facebook post was transported to a fictional version of St. John’s. He escorted my protagonist into a diner, jumped up onto the counter, and made himself at home. A cat who’s seen a lot, who’s suspicious of strangers, especially those who look human but aren’t quite what they seem. I liked having him in the book. He fit. It worked. And then my in-laws adopted his brother, and Jiggy the hard-to-rehome kitten was left ALONE AT THE SPCA. Long story short: I drove out a few days later and came home with the kitten who’d already found his way onto the pages of my book. But here’s where it gets funny. That big, battle-scarred, streetwise cat from the book? He’s still entirely fictional in everything but his coat markings. Maybe he was the runt of the litter, or maybe I spoiled him so hard that he decided to stay a kitten forever. Whatever the case, Rorschach never went through the “huge feet, long legs” stage, and he never got particularly big for a male cat. He’s almost two years old now and isn’t nearly as large as his brother. The kitten we never expected to come out of his shell now follows me around and talks to me when I get up in the morning. He hollers for me if he can’t find me in the evening. He likes odd foods and will try to steal your blueberry muffin if you don’t keep a close eye on it. He doesn’t blink much, which makes him look a bit nutty. He races around the house making strange noises, and if he escapes out the back door he inevitably freaks out and ends up stuck under the back deck. Not exactly the cat who ended up in that first book, but an entertaining one nonetheless. Rory only appeared in Resurrection once, and then only on a few pages. I honestly expected that to be the end of him. But if you’ve been reading the series you know that Imogen (the diner waitress who’s “his” human) showed up again at the end of Atonement. That was a surprise for me, but not as much of a surprise as what came next. Imogen came back again in Covanant, and she turned out to be far more than she seemed at first glance. And Rory? Well, I can’t say he’s been thrilled about it, but he’s come along for the ride, and he even played a part in unravelling the mystery that plays out on the pages of Covenant. …which means that a chance encounter with an SPCA Facebook post affected the course of this book series. Does the real Rorschach know or care? I doubt it. I’ve told him, but I don’t think he was listening. He was too busy knocking stuff off the mantel and bothering his big sisters. He may have had a rough start in life, but the real-life counterpart of a badass fictional feline seems quite pleased with his own happy ending. Resurrection is available for a limited time for 99 cents in ebook! Click here for links. Since the night of Aviva’s murder she’s been forced to accept a new reality—burned by sunlight, dependent on the blood of the living, searching for her place in a dark world she didn’t believe existed until she awoke as a vampire. 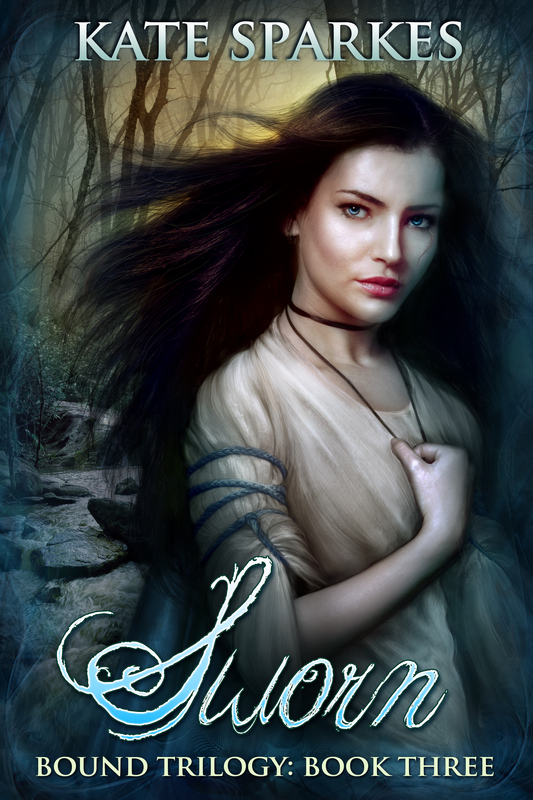 When rogue vampires arrive in her clan’s territory and threaten the uneasy peace of the supernatural world, Aviva finds strength in darkness and discovers gifts that are considered shameful in the eyes of vampire society. Powers like hers are dangerous, but they might be her only hope of standing between a pack of ruthless killers and the unsuspecting humans they prey on. *I think most of you know by now that Tanith Frost is my pen name. It’s not much of a secret. It’s February, and that means it’s almost my birthday! Last year I gave newsletter subscribers a present for my birthday–a brand new, exclusive novella. That was loads of fun, but I’ve been busy with other projects this year and didn’t have time to write a new story. Still, I wanted to give something away for my birthday. And that brings us to the “Magic or Monsters” giveaway! This giveaway is closes at midnight on February 22 so I can pick the winner on the 23rd, so be sure to enter soon! The winner’s going to have a tough choice to make: Magic, or monsters? One randomly selected winner will receive a signed paperback copy of Bound OR Into Elurien, along with an ornament that goes with the story (a golden feather for Bound, a key for Into Elurien), PLUS a book-themed pinback button and a gift pouch of my favourite writing tea* to cozy up with while reading. This giveaway is open internationally (please note that shipping times will vary by destination), and is not endorsed/sponsored by any entity other than myself. Here’s the rafflecopter link to enter. ** Good luck! *Glitter and Gold from David’s Tea. So magical. **Entries available for newsletter subscribers, tweeting about the giveaway, or just for visiting my Facebook page. Among the dregs of vampire society, there’s no safety in numbers. It’s been a year since the vampires of Maelstrom threw Aviva to the wolves. When her next assignment arrives, it’s clear that her elders haven’t forgiven her past sins. She’s to take a position watching over the clan’s weakest members: the old vampires who can’t be trusted to keep the supernatural world’s secrets. Locked away in a crumbling home by the ocean, they exist in isolation, nearly forgotten by the world. It’s a boring job, an assignment more insulting than her placement with the werewolves, and a terrifying warning of where she could end up if she doesn’t change her ways. Aviva is determined to keep her head down, prove herself, and atone for her mistakes. But when a group of vampire hunters calling themselves the Blood Defenders attacks the home, Aviva has no choice but to step into her role as guardian and hit the road with a group of misfit vampires who are as much a danger to the world as they are to themselves. When the Blood Defenders shatter the heart of Maelstrom’s power and leave them with nowhere to run, Aviva and her band of monsters have no choice but to stand and fight to save a world that despises them. Don’t forget that book one, Resurrection, is currently available for just 99 cents on Amazon! This is a limited time offer, so be grab it soon! Her gifts will be her salvation… or her downfall. No one gave Aviva a choice about becoming a monster. Since the night of her murder she’s been forced to accept a new reality—burned by sunlight, dependent on the blood of the living, searching for her place in a dark world she didn’t believe existed until she awoke as a vampire. She’s still struggling to accept her fate and master her dark powers when the news arrives: rogue vampires are torturing and killing human residents of the city, threatening the secrecy and uneasy peace of the supernatural world. As the hunt begins, Aviva’s deliciously distracting trainer, Daniel, helps her seek out her unique strengths. The gifts she discovers are shameful in the eyes of vampire society—and they may be the only thing standing between a pack of ruthless paranormal killers and the unsuspecting humans they prey on. 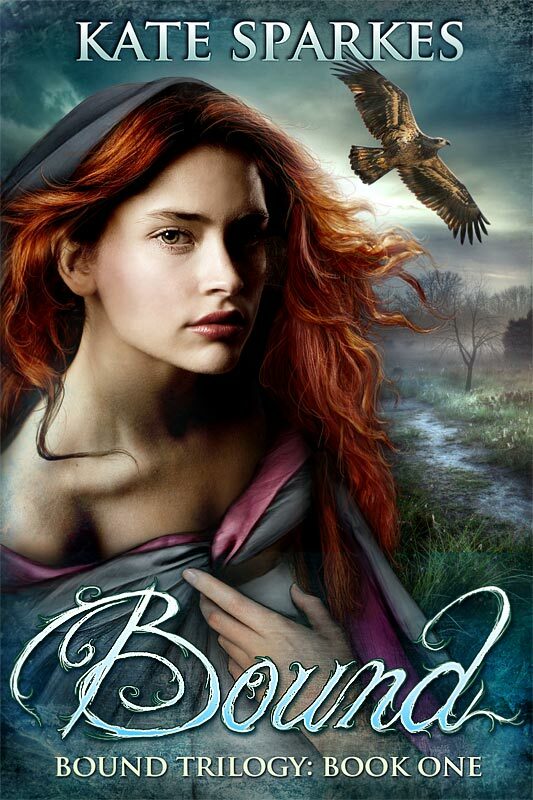 Bound (Bound Trilogy Book One) FREE for a limited time! I know, I know. Too much promotion here these days, right? I promise I’ll be back with something else when I have anything interesting to share with you. Right now I’m buckling down, trying to avoid wasting time on social media, and working on getting the first three books I’ll be releasing under my pen name ready for publication. There’s a lot going on here… it’s just behind the scenes. I do have one bit of excitement to share, though! For the first time ever, Bound is free on all of its regular ebook retailers! Whether you read on Kobo, iBooks, Nook, Kindle, or those smaller ones whose names I can never remember, I’m giving the ebook away. I wish I could say I had a big strategic reason for doing this, but honestly? It was the end of winter, I was in a funk, and not much lifts my spirits like giving something away. And between this and the paperback giveaway I just wrapped up with my newsletter type people*, I’m having a pretty good time. 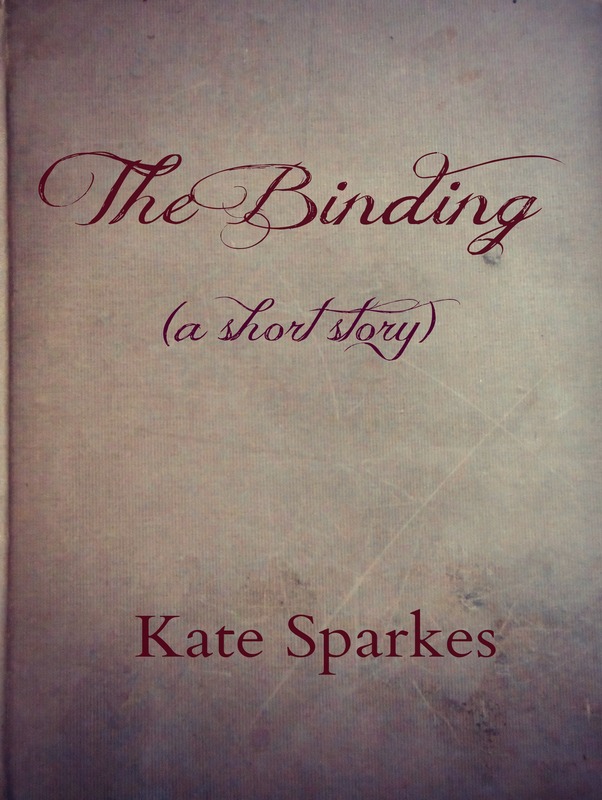 Besides, we’re coming up on Bound’s third anniversary as a published book. Why not invite some new people in to explore this world and get to know my beloved characters? So if you haven’t started the series yet, check out the links at books2read.com/bound. If you have read and enjoyed these books, why not offer a recommendation to a book-loving friend? This offer is only going to be on for a few weeks, and when it’s over, I don’t know whether or when it will happen again. *Newsletter subscribers get the VIP treatment. Giveaways, bonuses, free stuff… want to join in? Visit my site to sign up, then watch your inbox (or spam folder) for the confirmation email. Add me to your contacts so you don’t miss anything, and enjoy! I know some of you have been waiting. I’ll have the cover/description reveal here on June 1. In the meantime, check out TanithFrost.com for details, and sign up for her newsletter to get a generous four chapter sample of Resurrection! If you’re a fan of Urban Fantasy, vampires, steamy romance, and a whole lot of blood-spattered suspense, you’ll want to check this one out. But this Friday, you’ll want to watch for an email from me. My newsletter subscribers will find out how to enter to win a signed paperback copy of Bound, plus a gold feather ornament and a “create a little magic every day” bookmark. It’s going to be really easy to enter, chosen totally at random, open internationally, and completely exclusive to subscribers. If you’re on the list and don’t receive the email, be sure to check your junk folder (or your promo folder if you’re with Gmail and have to put up with that little newsletter-hiding system). A Party! And Giveaways! AND BOOKS! Quick notice for anyone who may be interested: I’ll be at Krista Walsh’s Facebook party tonight celebrating the release of Death at Peony House, book one in her new Urban Fantasy series with a mystery twist (you can grab the prequel here free today, and check out DaPH here, free with Kindle Unlimited). Krista will have giveaways, information on the books, and more–including a few guest authors with our own giveaways. 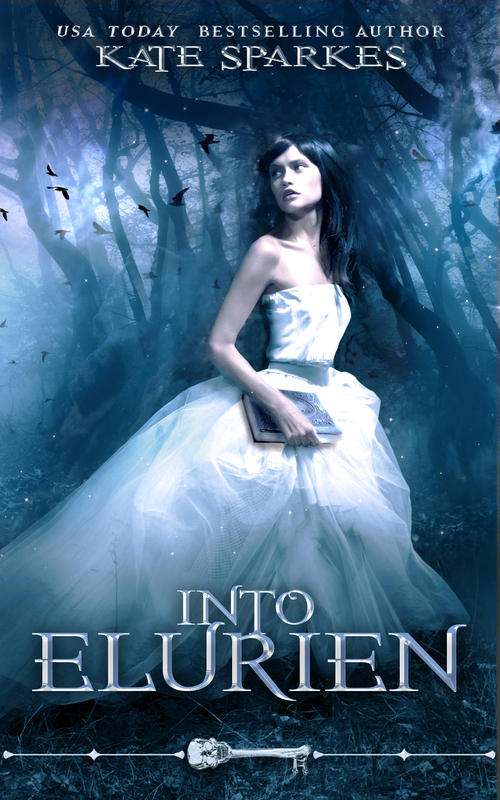 I’ll be offering a signed paperback copy of Into Elurien, a signed cover card, and a bookmark in my big giveaway, plus a few ebooks during my takeover time (open internationally). Drop by to enter, to ask me questions, and to chat about monsters and urban fantasy. I’ll be on at 6 Eastern time, but please come early and stay for the whole party! You won’t want to miss out on Krista’s new series. Here’s the link. Click “going” to get notifications in your Facebook feed when the party starts. And I think Krista is having a giveaway for whoever invites the most friends, so be sure to share!